The Mass hymns were accompanied by a blind girl pianist and a blind boy violinist. The first lesson was read by a man using a braille Bible, and the second, slowly, by a mentally retarded girl. They were among hundreds of blind, deaf and lame people taking part May 19 in the fifth annual "day for the physically handicapped" sponsored by Catholic Social Services of Seoul archdiocese at Jesuit-run Sogang University here. 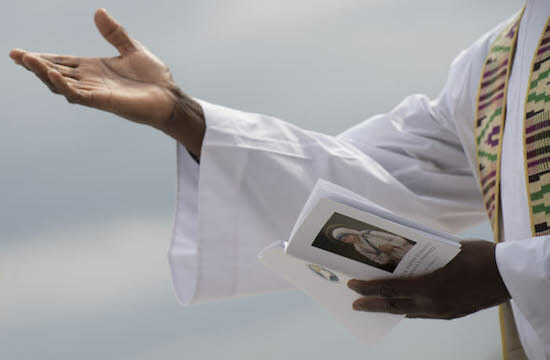 The hymns, Scripture readings and homily were "translated" into sign language for the deaf. In the front row were young Catholics in wheel chairs. Over 400 people, mostly young physically handicapped people or volunteer helpers, came from eight organizations for the handicapped. Due to rain, outdoor soccer and volleyball were cancelled, but after picnic lunches inside, a drama was staged by young actors who performances raise money to help the blind. "There is so much inhumanity in today´s society that many people feel alienation. 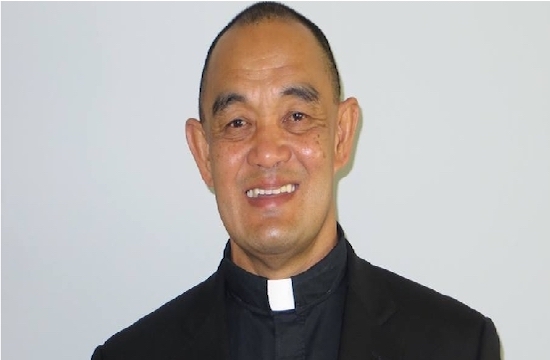 You people are aware of this more than I," Auxiliary Bishop Paul Kim of Seoul said at the Mass. "Understanding what true love is through contemplation of the meaning of the suffering of Jesus on the cross is true ´health´ in this age," Bishop Kim said. According to Miss Goretti Song, assistant director of the Catholic Social Service Office, the special day was proposed in discussions with handicapped people during the International Year for the Handicapped in 1980. "They tell us they feel it is a sign to them of the Church´s recognition of their feelings and their dignity in the eyes of God."